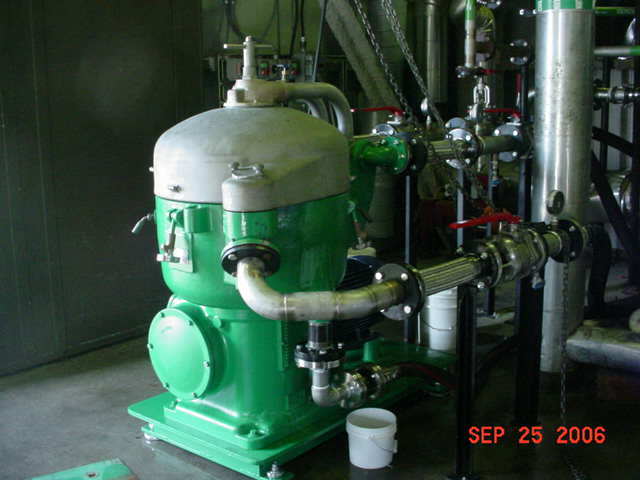 Alfa Laval B-214 Biodiesel / Vegetable Oil Centrifuge. Excellent for biodiesel/glycerin separation, biodiesel/waterwash separation, vegetable oil water washing, and fuel oil purification. Rated for 300 GPM on diesel fuel. 40 HP motor, clutch drive design. Can be converted to direct drive and explosion proof.